The German motor company may eventually make EV sharing more than a simple side business. Presently, BMW offers a DriveNow electric car sharing service in several cities, which includes its i3 and ActiveE electric vehicles. However, the automaker is seeking to take its services even further, and will not only work toward expanding DriveNow, but also its other infrastructure-service concepts including ChargeNow and ParkNow, reported ecomento. 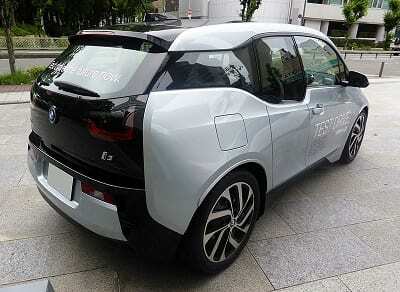 BMW anticipates that car sharing will boost the profile of electric vehicles (EVs). Having electric cars as part of car sharing services makes these green cars more accessible to people who wouldn’t otherwise consider purchasing EVs. This is what the carmaker expects will help to raise the profile of electric cars. Furthermore, it believes that it will also make certain that charging infrastructure is utilized fully and far more predictably compared to a group of mostly private cars. Electric car sharing could benefit crowded cities and places where public transportation isn’t an option. Another of the automaker’s interests is in finding ways to combine car sharing with public transportation. BMW feels that by providing more convenient shared transportation options, this has the potential to reduce the number of privately-owned vehicles within densely populated cities. In addition, the company believes that car sharing could be beneficial in areas where public transportation isn’t offered, due to certain factors. The company expressed delight over a recent law that was passed in Germany, which allows cities to offer shared cars more parking privileges over privately-owned vehicles. Additionally, a similar law enables cities to reserve parking spaces specifically for EVs. In Munich, Hamburg, and Berlin, BMW added 100 i3 electric vehicles to its DriveNow services located in these German cities. Outside of its home country, BMW added its i3 to its London car-sharing fleet in May and intends to make the electric car model available in other European cities, soon. Currently, the ActiveE is the only option in San Francisco, the sole American city where the DriveNow electric car sharing service is presently available.